In today’s world, tennis players are experiencing more success than ever before by placing a special emphasis on building their core strength. Tennis is an exceptionally popular sport that not only entertains, but offers a wide variety of psychological and physiological benefits to those who play. The truth is, it looks easier than it actually is. It’s a deceptively difficult, draining, and exhausting activity that requires a tremendous amount of work to master. It requires training, conditioning, and plenty of practice. Tennis players know this. To up your game, focus on building and strengthening your core. Why is Core Strength Training Important for Tennis Players? The muscles that are part of the body’s “core” are the ones that tennis players use most when playing. These must engage properly, be strong enough to handle the physical requirements of the game, and should work in unison. 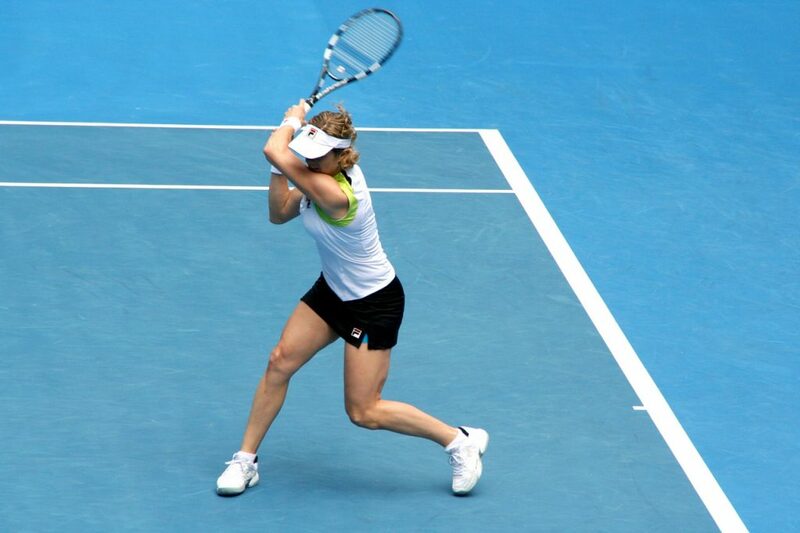 The body’s core helps to stabilize, optimize momentum, and increase power while playing tennis. Additionally, it helps to protect players from sustaining injuries – especially those involving the back. The core involves all of the muscles that are located within the trunk region of the body. When the core of the body is exceptionally strong, it will help to stabilize the tennis player’s body when they are engaging in the strong, explosive, fast movements and the rapid change in direction that is commonly experienced during game play. A tennis player is highly dependent upon balance. If the muscles in the core of the body are strengthened and kept strong during training sessions, it will optimize the player’s balance. This sharpened and enhanced sense of awareness, as it pertains to the body’s gravity center, is imperative to the overall athleticism that is required to be a productive and successful tennis player. Tennis players must be able to successfully execute all of the shots that they make with a high level of power and an excessive amount of speed. If the core of the body is strong, the player’s overall momentum gains strength and they are able to take more forceful and accurate shots during game play. Individuals that play tennis are prone to certain types of injuries. The most common are those involving the muscles in the lower back. By building up the core muscles in the body, these types of injuries are less likely to occur. Players that have a strong core are more likely to experience higher levels of general health, which allows them to play longer, harder, and more effectively. The bear crawl is an easy exercise to understand and is highly productive and strengthening the core of the body; however, many are not particularly fond of this specific exercise. Despite its overall lack of popularity, it is immensely beneficial at building up strength in the body’s core quickly. You simply propel your body, while on all fours; however, you must not allow the elbows or the knees to touch the ground. It is advised that you perform this exercise numerous times, for a span of at least 20 feet, per time. Then, you will turn and go back to the point in which you started. In order to truly optimize the benefits associated with this, perform the bear crawl frontwards and backwards. In order to perform this exercise, you must obtain a medicine ball that you are comfortable with lifting. The hips should be apart, about the length of the shoulder. The ball should be held over the head and to the left. It should be brought down towards the right hip. This should be repeated about 10 times for each side. In order to perform this exercise, you should lie down on the ground, but with only the toes and elbows touching the ground. The body should be kept straight. You should hold the plank position for as long as possible. It is advised to hold it for at least one minute. If you are able to hold the position for two minutes, you have a very strong core. Are you a tennis player that wants to up your game? If so, we here at Back to Motion can help! We can assist you in building strength through a large assortment of exercises and activities. If youre in the Denver, Co area, visit us or give us a call for a free 10 minute assessment.